We were always an English-speaking family. The headteacher at my first school was a fanatical nationalist and was determined that we would all learn Welsh. By the time we moved, I knew a few words – they deserted me long ago. As a child I was proud to call myself Welsh. I can remember now the Investiture of the Prince of Wales in 1969. My class at Didsbury Road Primary School had a music lesson each week in which we learned folk songs. In the term before the Investiture, we were expected to sing “God bless the Prince of Wales”. I refused. When others stood, I remained sitting. Miss Beales commanded me, cajoled me, threatened me. I remained obdurate. I knew that this Englishman had no right to call himself Prince of Wales. I had read of the heroic deeds of Owain Glendower in the 1400s and of the Free Wales Army in my own times. These were my heroes and I was willing to lay down my life (or at least to be sent to the headteacher) with them. Later on there were other heroes. Keith Jarrett, JPR Williams, Gerald Davies, Gareth Edwards, Mervyn Davies, John Bevan, JJ Williams. These were the magicians who kept me entranced through the 1970s. I sat up through the night listening to the radio commentary on the ’71 Lions tour of New Zealand; raged when John Bevan was dropped in favour of the English David Duckham, sulked as Syd Going outplayed Gareth Edwards, gasped in awe as Barry John ghosted his way through defences. Nothing was quite the same after Barry John retired at the age of 27. Phil Bennett was obviously better than any Englishman, but he wasn’t King John. Later still, I discovered other dimensions to my Welshness. I discovered that Welsh male voice choirs could move me in a way that no other music could. I had grown up with the sound of the Morriston Orpheus Choir – my father’s favourite – in the background. Now I found that the old records still had the power to send shivers down my spine. I discovered R S Thomas’s poetry and felt the same strange piercing delight. Most of all, I discovered that the preaching I savoured most was Welsh preaching. Scotsmen preached with authority and warmth; Americans preached with humour and dash but the preaching I loved was Welsh preaching with its blend of argument, imagination and passion. So do I think of myself as Welsh? Well, the things that moved me in the past still move me. I still sit open-mouthed as I watch clips of Barry John making defenders look silly. I still resonate with R S Thomas’s poetry and Martyn Lloyd-Jones’s preaching. I still feel a pang of excitement whenever I cross the border back into Wales – I’m coming home! And yet I live in England. 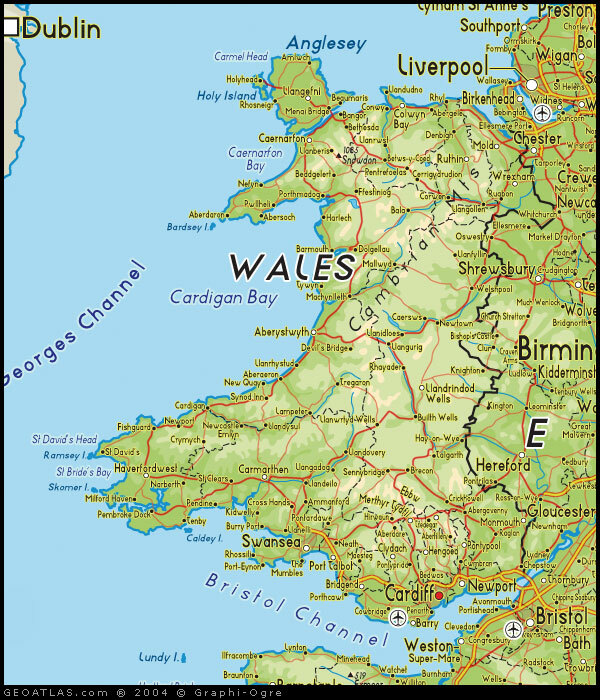 All through my childhood, all through my teens I dreamed of the day I would move back to Wales. And then, when I left university, I came back to Stockport. And here I have spent the last 29 years, by my own choice. I have married an English girl. None of my children have distinctively Welsh names. They’re not conscious of being Welsh. They think of Stockport as their home. Where my childhood holidays were spent in Wales, theirs are spent in the Lake District. I have no thoughts, no plans, no dreams of moving back to Wales. I have my burial plot reserved in the Charlesworth graveyard. Do I think of myself as Welsh? I suppose I think of myself as a Welshman who has chosen to lay aside my Welshness. Not because I despise it. No, I still treasure it. But there are other things I treasure more. I have stayed in Stockport because I love this church, the church I’ve pastored for 24 years. The people of this church are my people; the men and women who serve the Lord sacrifically here are my heroes. Singing with this congregation means more to me than listening to the Morriston Orpheus. The battles we’ve fought together for Christ are more thrilling to me than the battles fought out at Cardiff Arms Park or now the Millennium Stadium. And yes, I have to say it, the preachers whose preaching touches me most powerfully are the men from this congregation who preach from time to time, though none of them has a Welsh accent. The Bible tells us that it is natural and right for a man to feel a passionate love for the country that nurtured him, the nation of which he’s part. Paul felt a passionate love for Israel, for the people who shared his ancestry, his culture, his national inheritance: “I have great sorrow and unceasing anguish in my heart. For I wish that I myself were accursed and cut off from Christ for the sake of my brothers, my kinsmen, according to the flesh. They are Israelites and to them belong the adoption, the glory, the covenants, the giving of the law, the worship and the promises. To them belong the patriarchs, and from their race, according to the flesh, is the Christ who is God over all, blessed for ever, Amen.” (Romans 9:2-5). The Lord Jesus himself wept over Jerusalem as he wept over no other city. Whatever else Jesus was, he was a Jew and he loved the city that was the heart of Jewishness. The love that Welshmen have for Cymru, the patriotism that Yanks feel for the US, the pride Aussies feel for Oz, is good and God-given. Every nation has things for which it can feel proud, achievements which are unique to that nation. I can remember still the last sermon I heard Bob Sheehan preach: He listed some of the great things other nations have given to the world. But then – and his face lit up – he said, “But we, we Brits, we’ve got Whitefield, we’ve got Spurgeon, we’ve got Martyn Lloyd-Jones…” What rank ingratitude it would be if our hearts didn’t swell with joy and thanksgiving at the thought of what God has given to Britain! But the Bible also warns us many times, that gratitude and love for country can easily become twisted, that it can turn into sinful pride, into an arrogant assumption of superiority, into aggression and militarism. Jonah was a true man of God, a prophet, perhaps the most effective preacher of Old Testament times. Yet his love for his own nation became a snare to him. In his love for Israel, he longed for the destruction of Israel’s enemy Nineveh, and mourned when the Ninevites found mercy from God. When the people of Nazareth heard Jesus speak of God’s grace towards Gentiles, they raged and tried to throw him from a cliff (Luke 4:24-30). The suggestion that Gentiles might share the privileges of Israel was enough to drive them to fury. It’s easy for Welshmen to believe that Wales has some special claim on God’s favours; that our rugby sides have an innate right to win Triple Crowns and Grand Slams, that our preachers have an anointing that English preachers cannot share, that revival is our birthright, that Welsh is the language of heaven. It is easy for Brits to believe that Britain is somehow exempt from the judgements that have fallen on other nations, that there will always be freedom for us to preach the gospel, that we will always have gospel churches, bible colleges, conferences, missionary societies. North Africa was once a land of thriving Christian churches, great preachers, brilliant theologians. Now it is given over to Islam. France in the time of the Reformation saw wonderful movements of the Holy Spirit. Now it is a barren land where you can travel many miles without finding a gospel church. But Britain… ah it could never happen in Britain, could it? The Bible and history warn us against such arrogant nationalism. And the Bible tells us again and again that a believer must have a higher allegiance than his allegiance to his native land. Abraham was called to leave Ur of the Chaldees for ever; and to live in a strange land. Ruth the Moabitess turned her back on her own land and people and said to Naomi, “Do not urge me to leave you or to return from following you. For where you go I will go, and where you lodge I will lodge. Your people shall by my people and your God my God. Where you die, there I will die, and there I will be buried.” Paul, that most passionate of Jews, became the apostle to the Gentiles. From the time he was converted to the day of his death, Paul lived maybe thirty-five years. In all that time, I doubt if he spent thirty-five days in Jerusalem. For all these believers, obedience to God meant breaking their links with their native land. Not just geographical links but social links, emotional links, links of identity. Did Abraham think of himself as a “Chaldean in exile?” No, says the writer to the Hebrews, “If they – Abraham, Isaac, Jacob – had been thinking of that land from which they had gone out, they would have had opportunity to return” (Hebrews 11:15). Did Ruth think of herself as a Moabite in exile? No, she said to Naomi, “Your people shall be my people..”. Did Paul spend all his days dreaming of getting back to Jerusalem? No, his dream was to penetrate further and further into Gentile territory, until at last he could stand in Rome, and testify before Caesar. Thank God for the men and women we know who have made the same costly decision. Tony Hynes has lived in France so long that he finds it easier to preach in French than in English. His gestures, his mannerisms, his style are French. He is not Tony Hynes a pastor from England working in France. He is Tony Hynes, pasteur Français, from Carcassonne. I wrote last month about our friends in Northern Cyprus: there they live, there they expect to be buried. They have not just given years of service to Turkish Cyprus. They have given themselves. In the end, every believer must make the same decision. No, we are not all called to move abroad and learn a foreign language. But like Abraham, like Ruth, like Paul we are all called to find a new identity, a new circle of kinsmen, a new loyalty to a new fatherland. Abraham left Ur of the Chaldees because “he was looking forward to the city that has foundations, whose designer and builder is God”. He and his heirs “desire a better country, that is a heavenly one” (Hebrews 11:10, 16). A Christian may live in the same land in which he and his fathers were born. Yet his loyalty, his allegiance, his first love is given not to that land but to the heavenly country. Wherever we live in this world, we live as exiles (1 Peter 1:1); “our home city is in heaven” (Philippians 3:20). Do I think of myself as a Welshman? No. I think of myself as a citizen of heaven who happens to have Welsh blood in my veins; who loves Welsh male voice choirs; who has a consciousness of Wales woven into the fabric of his being, but who has chosen to leave all that behind in order to live and work in the place where God wants me to be. I’m glad that God moved me from Wales when I was seven years old. If I had stayed, if I had absorbed the language, learned to play rugby properly in a school that took it seriously, learned to sing in a local choir, perhaps my love for the country would have become an obsession holding me back from Christ. Perhaps it would be today an idol competing with the only true God. Perhaps my love for the land of Wales would crowd out my love for the heavenly land. Perhaps the Lord knew that I couldn’t handle the temptation of growing up in Wales as a Welshman. We seek a city out of sight. “Seek the things that are above, where Christ is seated at the right hand of God. Set your affection on things above, not on things on the earth”. (Colossians 3:1).